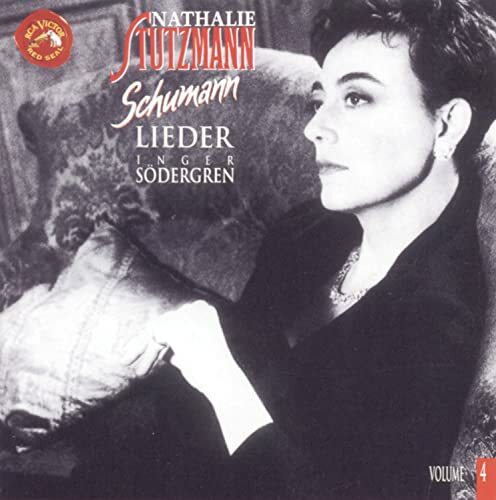 The French contralto Nathalie Stutzmann was born May 6, 1965 at Suresne, France. "Nathalie Stutzmann as Damira, the 'other woman' in the sultan's life, all but tears one's heart apart, especially in her exchanges with Anthony Rolfe Johnson's beautifully measured Mamaud." --from a review by William Dart in the New Zealand Herald of a recording of Vivaldi's opera La Verità in cimento. Marc Minkowski conducts Les Musiciens du Louvre and a delightful cast including Nathalie Stutzmann, Jennifer Smith, Eiddwen Harrhy, Bernarda Fink, and Pascal Bertin in a recording of Handel's Amadigi di Gaula for Erato. The recording can be ordered from amazon.co.uk.